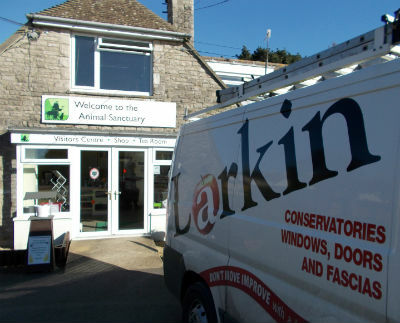 After finding out that the doors in the cattery needed serious attention, Larkin Apple were quick to act and spent three days at our Church Knowle Sanctuary fixing the doors and making sure they were as good as new! 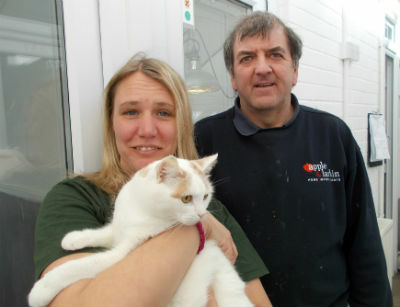 Their work especially benefitted our rescue cats who are patiently waiting to meet their prospective new owners. While the cattery cannot be compared to a loving home, we do make sure that the rescue cats are as comfortable as possible during their stay. Each cat pen has an indoor section with different levels where cats can curl up in a cosy bed, play or have cuddles from the staff and volunteers. They also have their own individual outside area where they can observe day to day life at the sanctuary.